At CES 2017, Lenovo today announced the ThinkPad X1 Yoga 2017 convertible laptop and ThinkPad X1 Tablet. The new updated Lenovo ThinkPad X1 Yoga is powered by 7th gen Intel CPUs. The laptop also includes Thunderbolt 3 port and OLED display option. ThinkPad X1 Yoga now features a new enhanced biometric authentication with the addition of an IR camera with face recognition support for Windows Hello logon. The Match-on-Chip touch fingerprint sensor adds another security layer. ThinkPad X1 Yoga also includes an improved ThinkPad Pen Pro. The all new Pen Pro using a new soft elastomer tip with bigger friction on glass, the pen recreates a more natural writing experience for users. ThinkPad X1 Yoga now includes an option of 14-inch OLED display which reproduces stunning colors, absolute blacks, and 100 percent Adobe RGB color space. The new keyboard retracts fully flat in tablet mode offering greater stability and user comfort and anchoring the keycaps delivers better long-term key durability and reliability. Meanwhile, the new ThinkPad X1 Tablet is essentially a smaller and less powerful version of the X1 Yoga as it’s supposed to be a tablet. The device also comes with Intel’s 7th gen processors. The tablet offers up to 1TB of SSD, up to 16GB of LPDDR3 RAM with includes a 12-inch 2K IPS display. You can get 10 hours of battery life. Now you have the option to select from Windows 10 Home or Pro editions with the Tablet. 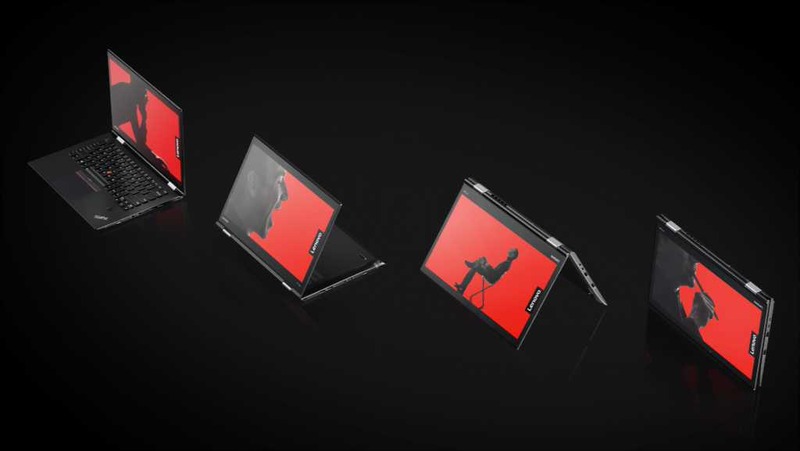 The ThinkPad X1 Tablet has unique modules that offer port expansion and up to 5 hours of additional battery life, and an integrated projector option making it easier to go from creation to presentation. The ThinkPad X1 Yoga starts at $1,499, and will be available beginning in February 2017. The ThinkPad X1 Tablet starts at $949, and will be available beginning in March 2017. The company also launched ThinkPad X1 Carbon.